Yet again, another year of MAR 388 has come to an end. Like previous classes, there were sunburns, sightings of amazing underwater creatures, stress over the exam(s), and a lot of fun for both the students and the instructors. Changing the course this year from the Caribbean to the tropical waters of a remote island in Fiji was a really extraordinary experience for all of us. And Brad and I would like to take this opportunity to thank the students (and their parents and family) for allowing us to travel with this group to one of the most unique places we’ve ever been to. 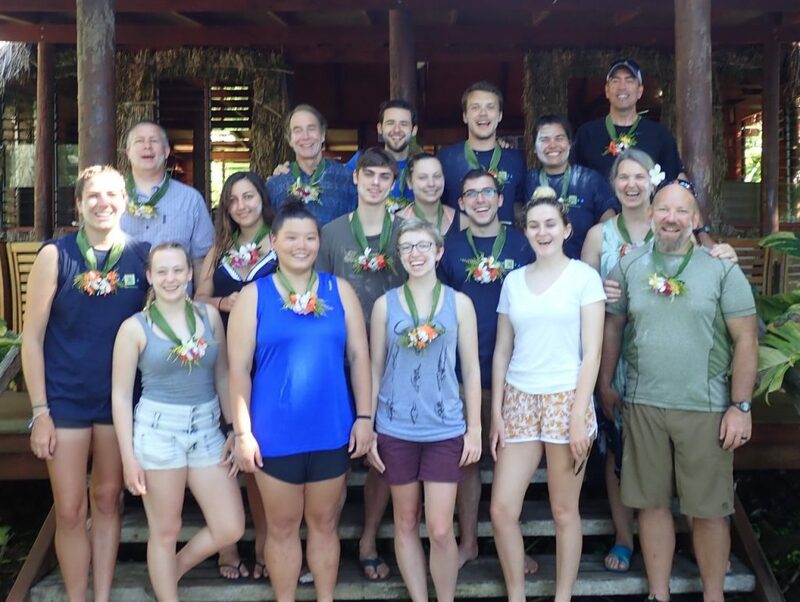 As we left the resort, we were given traditional flower garlands as well as powder on our cheeks (thus we look slightly different in our group photo as we depart than when we landed in Nadi). The group is definitely more tan (and knowledgeable about coral reef ecosystems) than when we arrived two weeks ago! The flight back to Nadi was picturesque and we had several hours to explore the crafts markets, produce and fish markets, and buy some souveniers. A long flight back to LA, then a not-quite-as-long flight to NY. The freezing temperatures were a shock to our bodies, but the memories of the class will do a good job of keeping us warm (mentally at least). Hopefully, we’ll be back to Fiji sooner rather than later!